Full details of Poultry Breeder Don Valley, Broody Lot. I have Young Stock available from August and Hatching Eggs available from April. We are quality breeders who are based in Yorkshire. All birds are bred to the breed standards. We show our birds so any birds for sale will be very good stock. We supply quality point of lay pullets from our farm in South Yorkshire. Our birds are healthy and well looked after. They are fed ad lib on premium food and are free to range in our field. Visitors welcome, please contact us to arrange a suitable time. Welsummer hatching eggs available from mid February; exhibition stock with a good egg colour, free range birds that have shown excellent fertility in the past few years. Stock cockerels and pullets may be available later in the year - call or email anytime to check availability of stock and eggs. I am a hobby breeder that’s gone mad! Birds available from day old upwards. Please call /text to see what I have available. Please note if you would like to buy small chicks I will ask you about this to ensure that you have the right equipment and experience to look after them as they are delicate and I need to make sure they go to suitable homes. Show quality, Pure bred, Polish Chickens and Fertile Hatching Eggs. Our chickens are all young, from show quality breeding lines and are consistently producing high quality polish chicks. 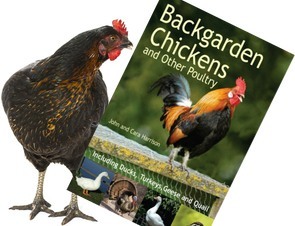 Our chickens are very well looked after and loved, and all have lovely temperaments making them great pets. They live very happy, healthy lifestyles either free range or in a very large run, they are always kept up to date with worming and ectoparasite control and they receive lots of human contact and treats! We believe it is incredibly important to breed from chickens that are healthy, enriched and ultimately happy in order to achieve maximum fertility and offspring you can be proud of. We currently have fertile hatching eggs available as mixture of the following colours which will also be a mixture of fizzle and smooth- these eggs have proved exceptional fertility rates and have produced fantastic chicks! Self Blue, Gold laced, Silver-laced, White crested Black, White Splash, Chamois. We will have pullets available soon, please get in touch if you would like to have some reserved. Please feel free to get in touch if we can help in anyway. The Black Rocks I sell come from the Scottish hatchery. They are available from chicks through to POL. They are very hardy birds and are ideal for free-ranging. Poultry breeder/supplier in South Yorkshire. Bred on our own farm in Lincolnshire from 1948. We supply Live Hatching Eggs, Day Old Chicks and Point of Lay Pullets. I breed large fowl and bantam silkies bearded and non bearded. All my birds are top quality healthy happy birds. I have been breeding silkies for a number of years now and have become quite Knowledgeable about the breed so can answer most questions you may have when starting out with these birds. Colours I have are: paint, black, white, cuckoo and blue. I do sometimes have other colours also. I have hatching eggs to day old chicks right through to point of lay. Cockerills also available. Welcome, pleased to anounce CLUCKINGHAM PALACE is back, and relocated in Doncaster. At Cluckingham Palace we breed miniature bearded miniature silkies which are small, easy to clean, keep and have lots of individual character. Silkies have black skin and all have the full 5 toes. The colours we have are white, brown, partridge, gold and black. PLEASE NOTE SILKIES CAN'T BE SEXED UNTIL 13 WEEKS OLD and have to be under heat or a broody hen for the 1st 10 weeks. Please message me for more details on preloved. We sell P.O.L Pullets from 15/ 16 weeks old, all fully vaccinated in rear. Breeds vary from commercial Hybrids to more colourful mixed Hybrids.